Will Matthew McConaughey reprise True Detective's Rust Cohle? 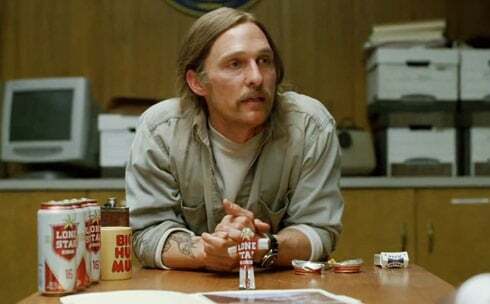 Matthew McConaughey has left the door wide open for a possible reprisal of his portrayal of the philosophically unforgettable Rustin Cohle in True Detective. McConaughey went deep as he talked about his opportunity to play the pessimistic detective who’s admittedly bad at parties. While doing so, he revealed a nugget that this fanboy could hardly believe. Dude… All those unforgettable diatribes from Cohle, some of the very best scenes in TV history, were all shot on the same day!?! That’s insane. Yeah I would. I miss Rust Cohle man. I miss watching him on Sunday nights. 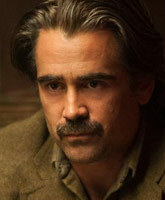 I miss watching True Detective on Sunday night. I was a happy man while we made that for 6 months. Vanity Fair points out that HBO felt liked they rushed the comparatively unsuccessful 2nd season and are looking for a Hail Mary to launch a 3rd season. While Rust Cohle might have been perfectly encapsulated in that first season, it’s a guarantee that a return of the mustachioed Lone Star-pounder would create an Earth-shattering buzz in the psychosphere.